Supporters of leaving the EU have said claims by Energy Secretary Amber Rudd that total household bills could rise by as much as £1.5m a day are “absurd”. Ms Rudd will argue that the UK faces an “electric shock” outside the EU, pointing to research suggesting energy costs could increase by £500m a year. The UK, she will claim, is more at risk of Russian “hijacking” outside the EU. Leave campaigners said the UK did not depend on the EU or Russia for supplies and EU membership pushed costs up. With three months to go until the referendum on the UK’s EU membership on 23 June, both sides are focusing on the question of what leaving the EU would mean for employment, growth, domestic security and national sovereignty. The government, which is backing EU membership, has been accused by its opponents of scaring people about the risks of EU exit. In a speech in Kent, Ms Rudd will claim that EU membership has kept household energy bills down, providing access to cheap electricity from the continent and facilitating billions of pounds of investment in the UK’s energy network and supply chain. “Does anybody really think all of that investment would continue if we left the EU and with no extra costs,” she will say. She will highlight research commissioned by the National Grid which suggests that, although uncertain, the impact of leaving the EU on the UK’s energy capability is “very likely to be negative”. The report, written by consultants Vivid Economics, warns that if the UK was to be excluded from the EU’s Internal Energy Market after voting to leave, it could force up energy costs by up to £500m by the 2020s. This, Ms Rudd will argue, is “the equivalent of British bills going up by around £1.5m each and every day”. She will also portray life outside the EU as a direct threat to the UK’s energy security, arguing that as the UK becomes more dependant on gas imports, the more EU membership is needed to minimise the risk of threats to supplies from other sources, particularly Russia, Europe’s largest gas exporter. “We have seen how countries such as Putin’s Russia use their gas supplies as a tool of foreign policy, threatening to cut off supplies or drastically increase prices,” she will say. Speaking on BBC Radio 4’s Today programme, Ms Rudd acknowledged “very little” gas was currently imported from Russia but said in the long-term gas from Russia would “play an important part in security in Europe”. She added that while there was a lot of gas around at the moment, it was not possible to foresee shocks and changes to the market, citing the Fukushima nuclear disaster in Japan which sent prices “through the roof”. The research makes clear the UK would be able to mitigate most of these risks if it remained a member of the Internal Energy Market. Countries outside the EU, such as Norway, are members. It also argues the short-term risk to gas supplies are minimal since the UK has a diversified source of supply, obtaining much of its gas from Norway, and is one of the largest producers of liquefied natural gas in Western Europe. 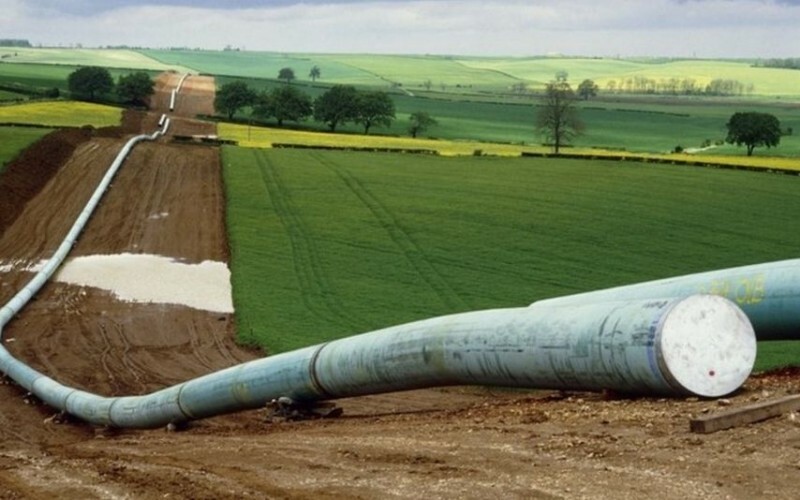 While in the event of leaving the EU, the UK would be free to strike bilateral deals with major energy suppliers, it says there could be an impact in terms of higher financing costs and access to interconnectors. “Amber Rudd’s absurd claims simply aren’t backed up by her own research,” said its chief executive Matthew Elliott. And Grassroots Out said the UK would have £14bn to spend as it wished if it left the EU and major inward investments would still go ahead. “This is the government’s Project Fear taken to a whole new level,” said director Alex Deane. The EU has sought to liberalise energy markets in the past 20 years to boost cross-border trade, increase competition and reduce wholesale prices but critics argue it is being held back by gaps in infrastructure and inconsistencies in market rules. National Grid said it was not expressing an opinion one way or another about the UK’s future in the EU but wanted to inform the debate by providing evidence about different scenarios.